TL;DR: Compared to UE 4.19.2, the ACL plugin compresses up to 1.7x smaller, is up to 3x more accurate, up to 158x faster to compress, and up to 7.5x faster to decompress (results may vary depending on the platform and data). Note that UE 4.21 introduced changes that significantly sped up the compression with its Automatic Compression codec but I haven’t had the time to setup a new branch with it to measure. Now that ACL properly supports a floating point sample rate, the UE4 plugin has reached feature parity with the stock codecs. As announced at the GDC 2019, work is ongoing to refactor the Unreal Engine to natively support animation compression plugins and is currently on track to land with UE 4.23. Once it does, the plugin will be updated once more, finally reaching v1.0 on the Unreal marketplace for free. One of the most common feedback I received from those that use ACL in the wild (both within UE4 and outside) was the desire for faster compression. The optimization algorithm is very aggressive and despite its impressive performance overall (as highlighted in prior releases), some clips with deep bone hierarchies could take a very long time to compress, prohibitively so. In order to address this, a new compression level was introduced in the compression settings to better control how much time should be spent attempting to find an optimal bit rate. Higher levels take more time but yield a lower memory footprint. A total of five levels were introduced but the lowest three currently behave the same for now: Lowest, Low, Medium, High, Highest. The Highest level corresponds to what prior releases did by default. After carefully reviewing the impact of each level, a decision was made to make the default level be Medium instead. This translates in dramatically faster compression, identical accuracy, with a very small and acceptable increase in memory footprint. 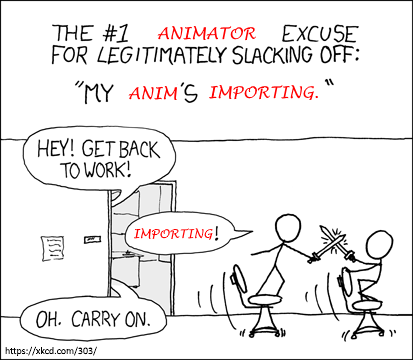 This should provide for a much better experience for animators during production. Once the game is ready to be released, the animations can easily and safely be recompressed with the Highest setting in order to squeeze out every byte. In order to extract the following results, I compressed the Carnegie-Mellon University motion capture database, Paragon, and Fortnite in parallel with 4 threads using ACL standalone. Numbers in parenthesis represent the delta again Highest. The 99th percentile and the number of samples below the 0.01 cm error threshold are calculated by measuring the error of every bone at every sample in each of the 6558 animation clips. More details on how the error is measured can be found here. In this new release, the decompression performance remains largely unchanged. It is worth noting that a month ago my Google Nexus 5X died abruptly and as such performance numbers will no longer be tracked on it. Instead, my new Google Pixel 3 will be used from here on out. If you use ACL and would like to help prioritize the work I do, feel free to reach out and provide feedback or requests! The long awaited ACL v1.0 release is finally here! And it comes with the brand new Unreal Engine 4 plugin v0.1! It took over 15 months of late nights, days off, and weekends to reach this point and I couldn’t be more pleased with the results. The core idea behind ACL was to explore a different way to perform animation compression, one that departed from classic methods. Unlike the vast majority of algorithms in the wild, it uses bit aligned values as opposed to naturally aligned integers. This is slower to unpack but I hoped to compensate by not performing any sort of key reduction. By retaining every sample, the data is uniform in memory and offsets are trivially calculated, keeping things fast, the memory touched contiguous, and the hardware happy. While the technique itself isn’t novel and is often used with compression algorithms in other fields, to my knowledge it had never been tried to the extent ACL pushes it with animation compression, at least not publicly. Very early, the technique proved competitive and over time it emerged as a superior alternative over traditional techniques involving key reduction. I then spent about 8 months writing the necessary infrastructure to make ACL not only production ready but production quality: unit tests were written, extensive regression tests were introduced, documentation was added as well as comments, scripts to replicate the results, cross platform support (ACL now runs on every platform! ), etc. All that good stuff that one would expect from a professional product. But don’t take my word for it! Check out the 100% C++ code (MIT license), the statistics below, and take the plugin out for a spin! While ACL provides various synthetic test hardnesses to benchmark and extract statistics, nothing beats running it within a real game engine. This is where the UE4 plugin comes in and really shines. Just as with ACL, three data sets are measured: CMU, Paragon, and the Matinee fight scene. Note that there are small differences between measuring with the UE4 plugin and with the ACL test harnesses due to implementation choices in the plugin. Data tracked here by the plugin, and here by ACL. Data tracked here by the plugin, and here by ACL (they also include other platforms and more data). As the numbers clearly show, ACL beats UE4 across every compression metric, sometimes by a significant margin: it is MUCH faster to compress, the quality is just as good, and the memory footprint is significantly reduced. ACL achieves all of this with default settings that animators rarely if ever need to tweak. What’s not to love? However, the ACL decompression performance is sometimes ahead, sometimes behind, or the same. There are a few reasons for this, most of which I am hoping to fix in the next version to take the lead: NEON (SIMD) is not yet used on ARM, the ACL plugin needlessly performs MUCH more work than UE4 when decompressing, and many low hanging fruits were left to be fixed post-1.0 release. ACL is just getting started! As the documentation states here, a few minor engine changes are required in order to support the ACL plugin. These changes mostly consist of bug fixes and changes to expose the necessary hooks to plugins. For the time being, the plugin is not yet on the marketplace as it is not fully plug-and-play. However, this summer I am working with Epic to introduce the necessary changes in order to publish the ACL plugin on the marketplace. Stay tuned! Note that the ACL Plugin will reach v1.0 once it can be published on the marketplace but it is production ready regardless. The first is visible in the decompression graphs: we now yield the thread before measuring every sample. This helps ensure more stable results by reducing the likelihood that the kernel will swap out the thread and interrupt it while executing the decompression code. The second is visible in the compression stats for Paragon: a bug was causing the visible error to sometimes be partially hidden when 3D scale is present. While the new version is not less accurate than the previous, the measured error can be higher in very rare cases (only 1 clip is higher). Regardless, the measuring should now be much more stable. The next release of ACL will focus on improving the compression and decompression performance. While ACL was built from the ground up to be fast to decompress; so far the focus has been on making sure things function properly and safely to establish a solid baseline to work with. Now that this work is done, the fun part can begin: making it the best it can be! I have many improvements planned and while some of them will make it in v1.1, others will have to wait for future versions. Special care will be taken to make sure ACL performs at its best in UE4 but there is no reason why it couldn’t be used in your own favorite game engine or animation middleware. Developing with UE4 is easier for me in large part because of my past experience with it, my relationship with Epic, and the fact that it is open source. Other game engines like Unity explicitly forbid their use for benchmarking purposes in their EULA which prevents me from publishing any results without prior written agreement form their legal departement. Furthermore, without access to the source code, creating a plugin for it requires a lot more work. In due time, I hope to support Unity, Godot, and anyone else willing to try it out.